Toddler Party Rentals | BounceGeeks.com Richmond, VA.
Having a party for your little one and looking for something perfect that they will love? You have come to the right place! Here at BounceGeeks.com we call them our Toddler Favorites. 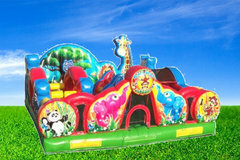 These exciting inflatables are specifically designed with pre-school age children in mind. 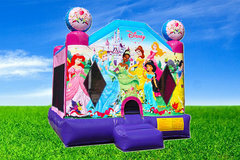 They have many of the popular bounce house features and also elements like climbing walls, small slides, basketball hoops and more. They are durable enough to handle older kids, so big brothers and sisters can play too! Browse the selections below and click on the "More Info" link to get more information and to make a reservation.